We welcome anyone, regardless of denominational background, to be a part of our community in Christ! Our mission at Beaver Cross is to build community in Christ! Sacraments of Baptism and Eucharist as outward and visible signs of inward and spiritual graces. The foundational statement of Anglican/Episcopal doctrine is contained in The Book of Common Prayer, including the Nicene and Apostalic Creeds, the Catechism, and the Ordinal as well as the Thirty-Nine Articles of Religion. Click here for more information. Here at Beaver Cross we blend Anglican traditions with contemporary worship. 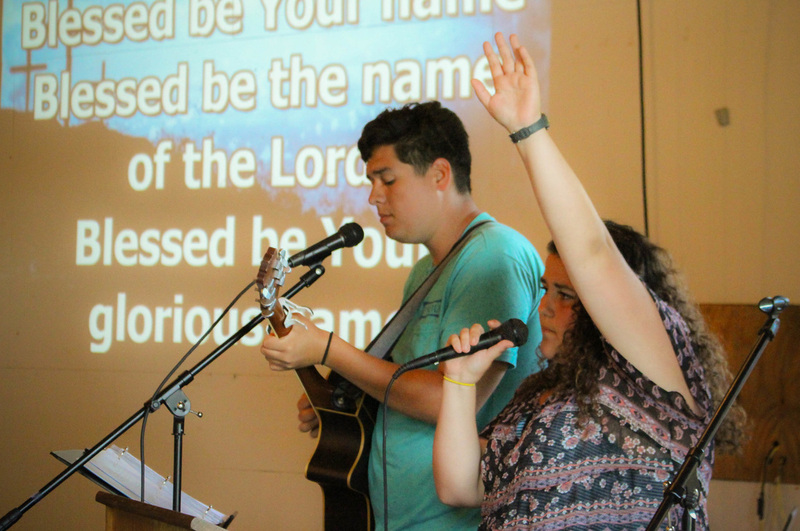 Daily worship and prayer are built into our camp and retreat programming, whether through contemporary praise music, or the sacrament of communion, or daily devotions with cabin mates and counselors. Faith in Jesus Christ is at the center of all we do. Campers of any denominational background baptized in the name of the Father, Son, and Holy Spirit are welcome to receive the sacrament of communion. We welcome non-baptized campers to receive a blessing at the altar. If you have any questions about our faith or our worship, please ask! We are more than happy to chat with you.